The Rangers defeated the Boston Bruins, 3-0, tonight at TD Garden to extend their winning streak to four games, and have now won eight of their last 10 games. The Blueshirts are 20-5-1 in their last 26 games, dating back to Dec. 17. Tuesday, Feb. 14, 7:00 p.m. The Rangers will face-off against the Boston Bruins at TD Garden (7:00 p.m.; TV: MSG 2; Radio: 970 The Apple), in their third game in four days. The Blueshirts currently sit atop the Eastern Conference standings, and rank second in the league overall, with a record of 36-13-5 (77 pts). The Rangers enter the contest having defeated the Washington Capitals, 3-2, on Sunday at Madison Square Garden for their seventh win in nine games, and are now 19-5-1 in their last 25 contests. New York has posted a record of 33-10-3 since Oct. 29, after beginning the season with a 3-3-2 mark. The Bruins enter the contest with a 34-17-2 (70 pts) record to rank second in the Eastern Conference, and have lost three of their last five games. 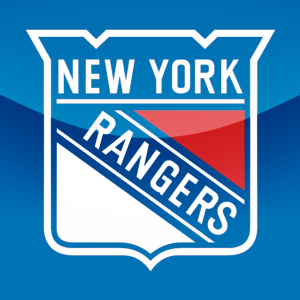 Following the contest, the Rangers will face-off against the Chicago Blackhawks on Thursday, Feb. 16, at Madison Square Garden (7:00 p.m.), in an Original Six match-up. Saturday, Mar. 26, 1:00 p.m.
Saturday, Oct. 23, 7:00 p.m. The Rangers will face-off against their Original Six rival, the Boston Bruins, tomorrow at TD Garden (7:00 p.m.), to begin their first of 18 back-to-back sets on the season. The Rangers enter tomorrow’s contest having defeated the Toronto Maple Leafs, 2-1, on Thursday at Air Canada Centre, and are now 2-2-1 (5 pts) on the season. The Bruins enter the contest with a 4-1-0 (8 pts) record to rank fifth in the Eastern Conference. Following tomorrow’s contest, the Rangers return to action tomorrow, Oct. 24, when they will face-off against their Atlantic Division rival the New Jersey Devils at Madison Square Garden (7:00 p.m.), to close out their back-to-back set. Prior to the game, the Blueshirts’ morning skate is scheduled for 11:30 a.m. at TD Garden. All-Time: The Rangers are 241-280-97-2 all-time against the Bruins: 140-117-55-0 at home and 101-163-42-2 on the road. 2010-11: This is the first of four meetings between the Rangers and Bruins this season, and the first of two meetings at TD Garden. Last Season: New York was 3-1-0 against Boston in 2009-10, including a 1-1-0 mark at TD Garden. Three of their four meetings were decided by one goal. Power Play: The Rangers did not convert in two power play opportunities (3:19) on Thursday at Toronto. New York is now tied for 19th in the NHL with a 10.5% (2-19) success rate, and rank ninth with a 22.2% (2-9) success rate on the road. The Rangers did not convert on one five-on-three chance (0:30) on Oct. 9 at HSBC Arena, and are now 0-1 on five-on-three attempts (0:30). New York is 0-1 (1:05) with a four-on-three advantage this season. Shorthanded goals allowed (0). Penalty Killing: The Blueshirts held the Maple Leafs scoreless in five shorthanded situations (9:19) on Thursday at Toronto, and are now tied for 26th in the NHL with a 75.0% (18-24) success rate. The Rangers held Toronto scoreless in one three-on-five situation (1:10) on Oct. 15 at MSG, and are 1-2 on three-on-fives (1:45) this season. The Blueshirts yielded one goal in three, three-on-four situations on Oct. 15, and are now 2-3 (1:10) in those situations this season. Shorthanded goals for (1): 10/9 at BUF (Dubinsky). Four-on-Four: New York skated in one, four-on-four situation (0:41) on Thursday at Toronto, and are now even in seven, four-on-four situations (11:19) this season. Four-on-four goals for (1): 10/18 vs. COL (Frolov). Four-on-four goals allowed (1): 10/15 vs. TOR (Kessel). Tonight’s contest will begin the Rangers’ first of 18 back-to-back sets this season. Last season, New York posted a record of 5-8-0 in the front-end of back-to-back sets, including a 2-6-0 mark when the first game of the set was away from MSG. The Rangers were 9-2-2 in the second game of back-to-back sets last season. New York has posted a record of 39-20-12 (90 pts) against Original Six opponents since the 2005-06 season, including a 14-4-2 mark vs. Boston over the span. The Rangers’ .634 winning percentage ranks second, trailing Detroit (.721%, 35-12-5) and ahead of Montreal (.619%, 57-33-11), Toronto (.529%, 45-39-18), Boston (.525%, 45-40-15), and Chicago (.445%, 21-27-7). Last season, the Rangers posted a record of 11-6-3 (25 pts) against the Northeast Division in 20 games, with the New York penalty kill surrendering just seven goals in 71 shorthanded chances for a 90.1% success rate. Rookie Derek Stepan (three goals) and Alex Frolov (one assist) both registered their first point as a Ranger in the 6-3 season-opening win on Oct. 9 at Buffalo. Three new Blueshirts tallied their first point as a Ranger in home opener on Oct. 15 vs. Toronto, with Ruslan Fedotenko, Derek Boogaard and Steve Eminger each recording one assist in the contest. In addition, Sean Avery registered two assists in the game to record his 100th point as a Ranger. On Monday vs. Colorado, Frolov notched his first goal as a Ranger with a four-on-four tally assisted by Stepan, who picked up his first career assist on the play. Fedotenko tallied his first goal as a Ranger to open the game’s scoring on Thursday at Toronto, and Martin Biron backstopped the Blueshirts to a 2-1 win in the contest with a 24-save performance to record his first win as a Ranger in his first appearance with the team. Based on opening day rosters, the Rangers have the ninth youngest team in the NHL with an average age of 27 years and 44 days, and the second youngest defensive corp in the league, trailing only Los Angeles with an average age of 25 years and 51 days. The Rangers have had seven new players dress so far this season: Martin Biron, Derek Boogaard, Steve Eminger, Ruslan Fedotenko, Alex Frolov, and Derek Stepan each skated in the season opener on Oct. 9 at Buffalo. Todd White made his Rangers debut on Monday vs. Colorado at Madison Square Garden, and Biron saw his first game action with a 24-save effort in a 2-1 win on Thursday at Toronto. Entering the season, the Rangers have posted a record of 276-266-90 all-time in the month of October, including a 175-114-47 mark at home and a 101-152-43 record on the road. New York is scheduled to play 10 games during the season’s opening month in 2010-11, with five games being contested at MSG and five scheduled on the road. Legendary Rangers’ defenseman Brian Leetch holds the franchise record for most points in the month of October, having registered 43 goals and 130 assists for 173 career points in the season’s opening month. The Blueshirts’ all-time leader for most career wins in the month of October is Mike Richter, who registered 40 career wins during the season’s opening month. Last season, New York tied the franchise record for longest winning streak in the month of October, winning seven consecutive games from Oct. 3, 2009 vs. Ottawa to Oct. 17, 2009 at Toronto. The Rangers also won seven straight October games in 1988-89, beginning on Oct. 16 vs. Vancouver and ending on Oct. 30 vs. Pittsburgh. Their seven-game winning streak last season was also the team’s longest since they won seven straight from Feb. 1, 2006 vs. Pittsburgh to Mar. 2, 2006 at Philadelphia.